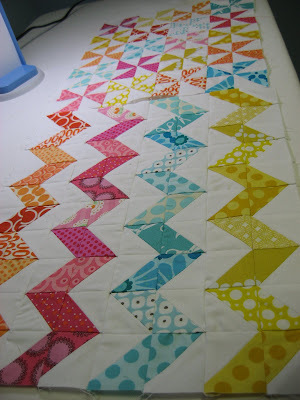 I gave a sneak peek of the zig zags a few weeks ago, and today I finished piecing the pinwheels. What do you think? 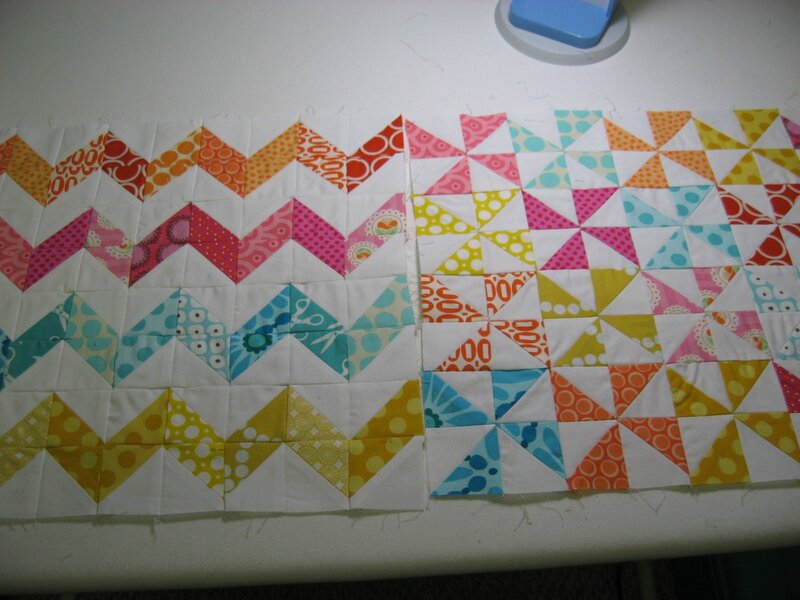 Any guesses as to what I am planning to make with these two pieced lovelies? I'll give you a little hint...it's something my secret partner has asked for and is hoping to receive. 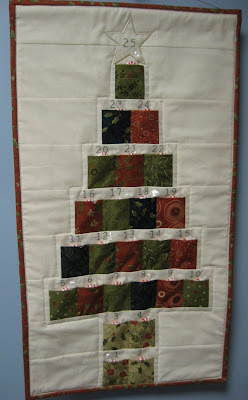 And here's a bonus for me...she has seen the sneak peek on Flickr and said she loved it! So at least I know I'm on the right track! I won't be able to show the finished project until after she receives it because her name will be embroidered on it, so this might be it for showing off this project for a while. Aren't these little piggies just so cute? My daughter's first grade teacher is celebrating her birthday today, so on Friday we surprised her with a great big birthday party at school! 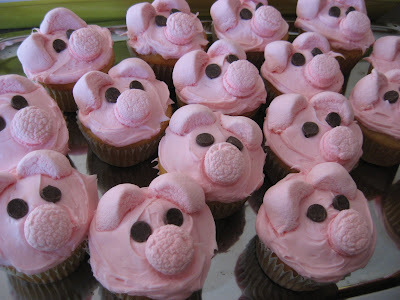 She has a thing, I mean a major Thing, for pigs, so that was the theme! It was great fun and I think she really was surprised and touched by it. So between planning that party, and other school activities and sports for both younger kids and the every day stuff of life, my poor sewing room was so neglected all week long. I made up for it today though, and it felt good! I hope you have a wonderful week, with a little sewing thrown in for good measure! Beautiful zig zags and pinwheels..your secret person will be grinning! And the quilt is gorgeous! 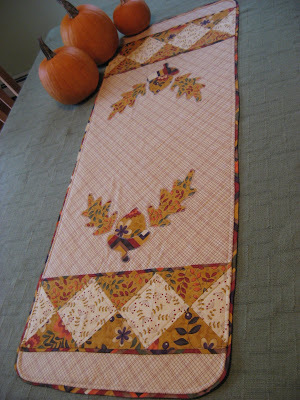 2012 Scrap Afghan ~ Complete! Come join the fun ~ Two Swaps Still Open! Cast a Vote for Spring! 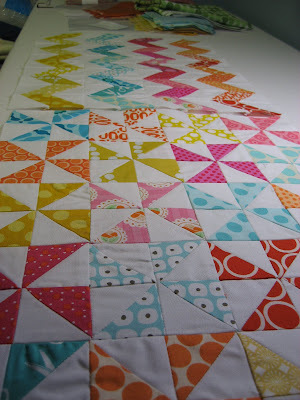 2012 Scrap Afghan ~ HUGE and Getting Bigger!